100% Poly Bristles not a good idea for most latex paint. Too wimpy! No spine to this brush. 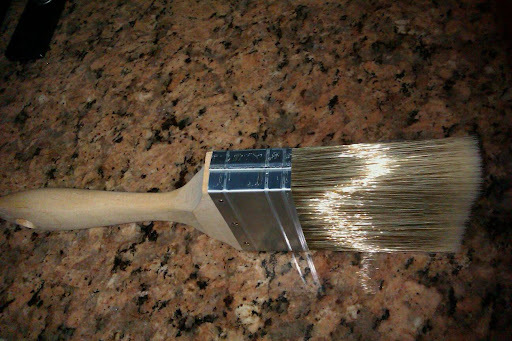 This brush just doesn't have the proper stiffness for Northern Colorado painting. The reason for this is because we are addicted to using the most obnoxious of the textures: heavy knock down texture. We currently feel that its too soft a feel to get into all the creators of texture even by employing three passes. There are other brushes out there like the "Stiffys" from ProForm Technologies that are much better suited for the task at hand. On a smooth untextured wall we were able to cut a seven foot peice of door casing in about ten seconds. The speed of this brush in that situation gives us goose bumps. One could only start to imagine the production times capable with this brush. 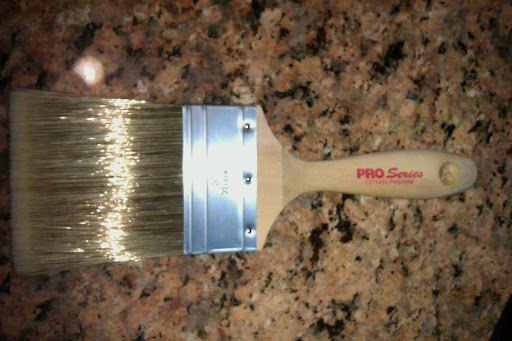 Painting smooth walls all day would be a dream with a Wooster brush like this. 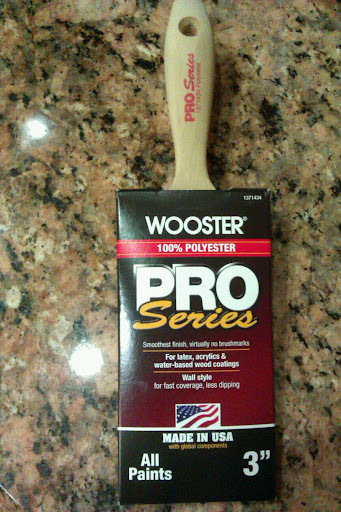 One huge advantage the Wooster brand has over Proform Technology brushes is its squared off corners. This makes the brush much more capable of "stabbing" into a three way corner. Why all brushes don't have square corners escapes us. A brush needs a sharp point to enter the corner of casing, ceilings, and other molding but it seems that most manufactures have forgotten about starting a paint line and focused on only how to keep going with it. One could only dream that Wooster, Purdy, and Proform Technologies would collaborate to make the worlds greatest brush ever... fingers crossed everyone.